This week we expose you to a radioactive topic: What happened to the dogs and cats left behind in Chernobyl? 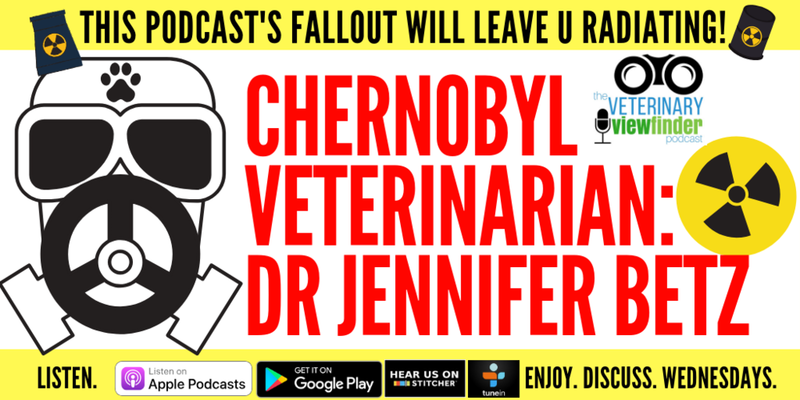 Our guest, Dr. Jennifer Betz, knows firsthand the current conditions of the canines and felines living in the Chernobyl disaster area. We were positively radiating during this episode, and the fallout of our conversation will leave you glowing! (I’ll stop now.) YOU DO NOT WANT TO MISS THIS EPISODE! Newer PostEPISODE 100! Recaps & Favorite Moments from our First 100 Podcasts! Older PostHappy National Veterinary Technician Week!